I can’t believe that I can say that now and be happy about it. I’m still loving that I gave up the crazy job. So what’s been happening with me? Well, I was able to hang out with a few Nyx members..that’s always fun! I’ve met some truly fabulous women in this Krewe. It still blows my mind that I’m in. Man! That fest was off the charts!! The O’Jays were the featured act and they were wonderful! Although, I was a kinda sad that Walter Harris Sr. has lost his chops. I know most folks are Eddie LaVert fans, but I’ve always been a fan of Walter. He was struggling at the microphone trying to get those notes out. I noticed the band playing on top of him …trying to hide the struggle. I could barely hear him up there. Oh well, Walter’s 71 years old…he’s allowed. 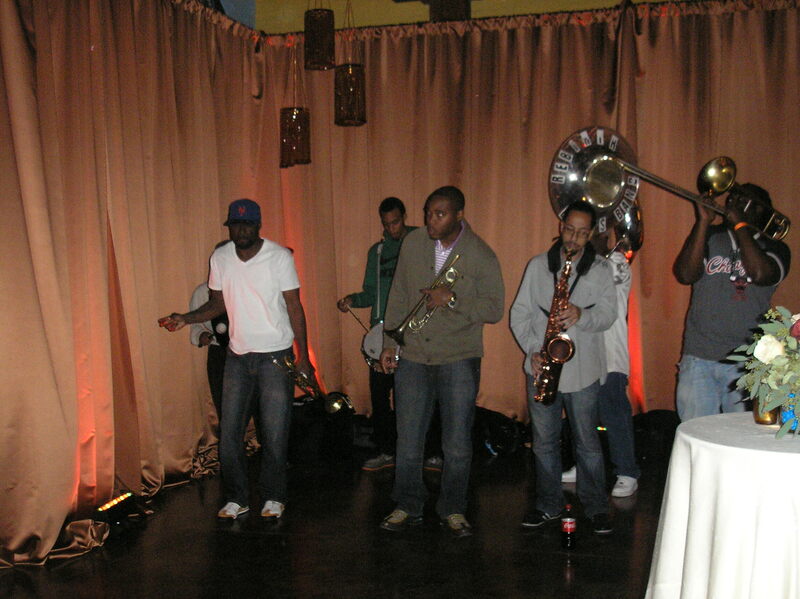 The opening acts were the Brass-A-Holics, Michael Ward and Glen David Andrews. 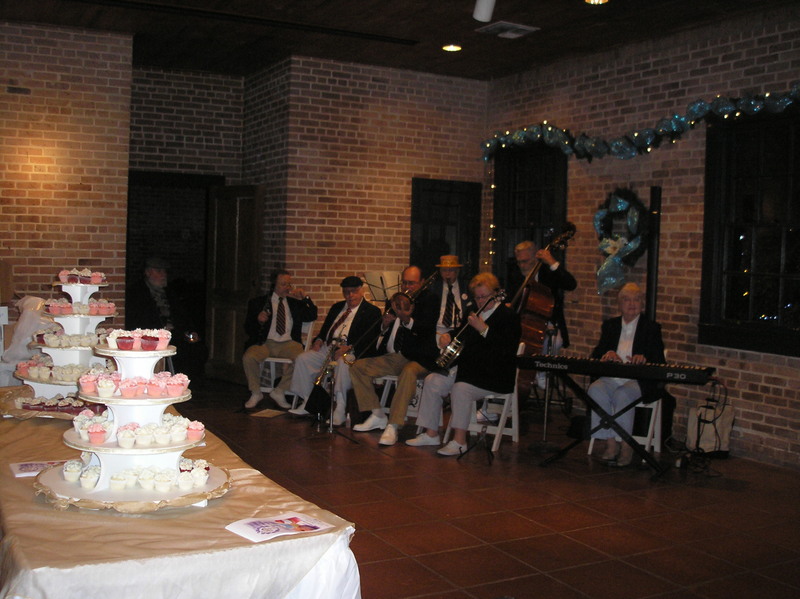 New Orleans has some of the best musicians ever. The talent in this city is amazing. I have to say though, that the Brass-A-Holics just blew me away…pun intended. From what I’ve read on their site, their sound is a blend of NOLA Jazz and Washington D.C.’s Go-Go Funk. Whoddathunk that the combo would make such a gumbo?! I didn’t get a good video of them at the fest, but this video is better cuz they’re playing and riding around the French Quarters. The Quarters looks so pretty …how da hell they manage to capture the Quarters all clean and everything!?! I get to catch them again this weekend at the Gentilly Fest. That is If Tropical Storm Karen don’t come around here acting a fool and ruin it for everyone. Glen David Andrews, in true New Orleans form, got the crowd second lining. The Hamp Fest is a real great way to spend a Saturday afternoon. If you’ve never been, you’re missing out on some great music, food and fun. It’s a great way to support the school and y’all know already know how I am about Aug.
Well, that’s all I got for now. I gotta go get some stuff for the storm and then walk down my block to make sure all the storm drains are clear of debris. Yeah, I’m that chick on the block. That’s another post for another day though. hunker down and be safe! 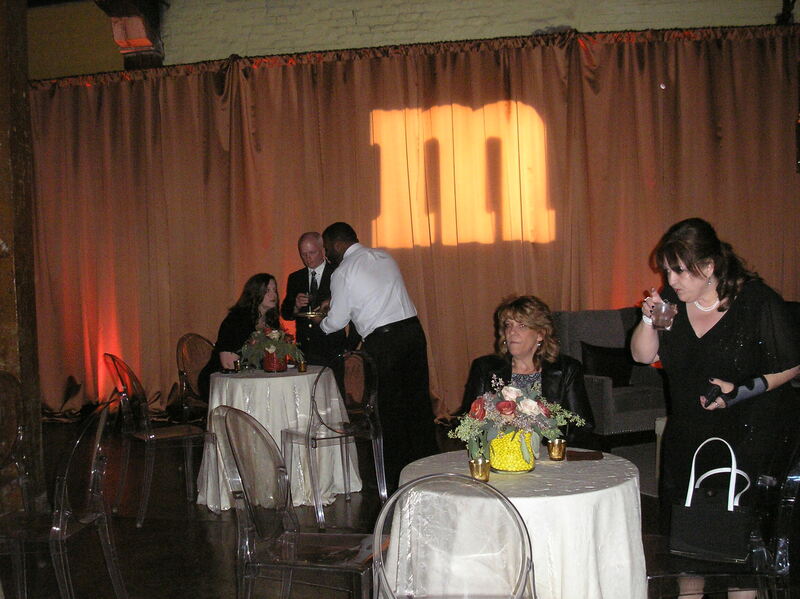 Last Thursday,NS and I attended the ‘M&Ms Better With M Dinner’ at the Foundry (thank you Charlotte). 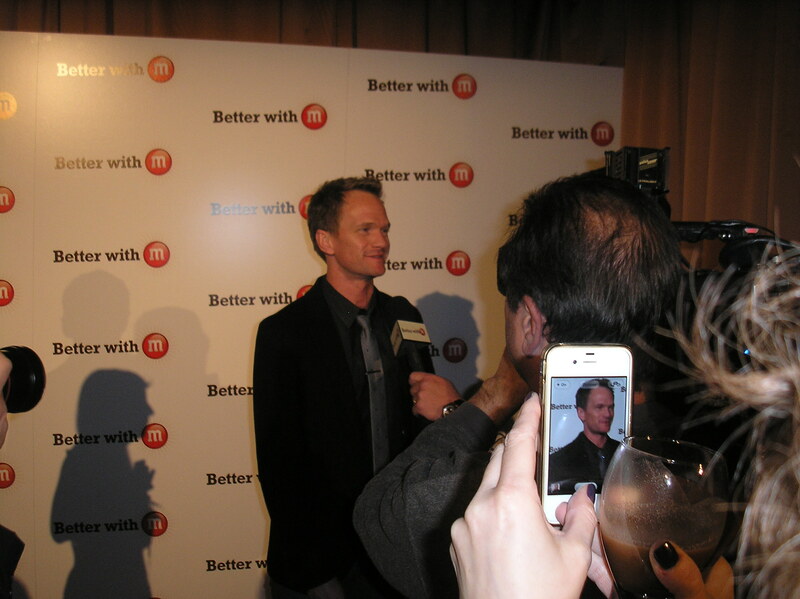 It was a star-studded event which celebrated the launch of their brand new marketing campaign ‘Better With M.’ Proceeds from the event went to New Orleans Habitat for Humanity. No marketing campaign was needed to get me through the door, they had me at M&Ms. 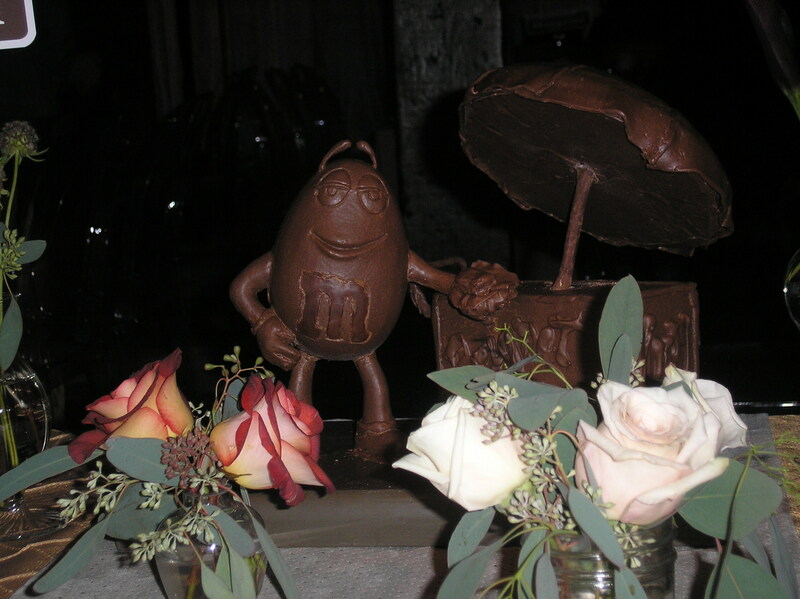 I love me some M&Ms! 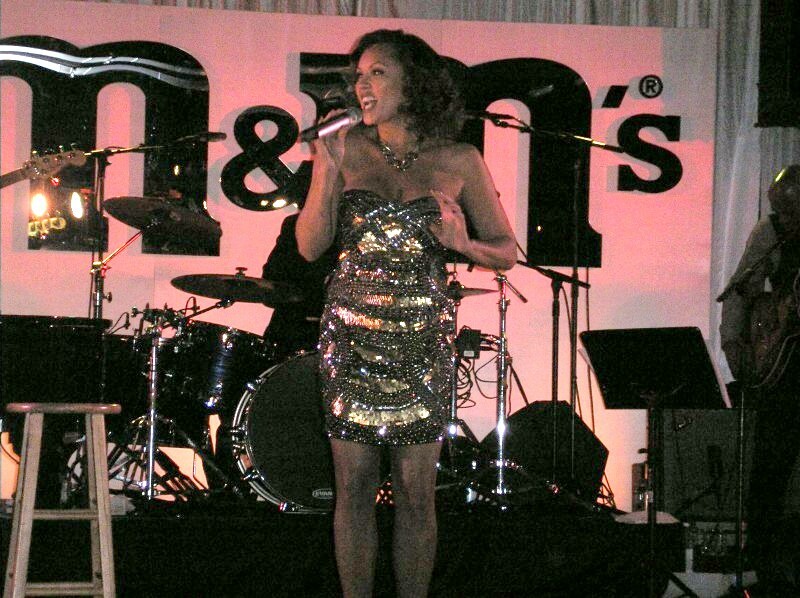 The three-course, chocolate infused dinner was created by New Orleans own Chef John Besh and for the entertainment…Vanessa Williams! 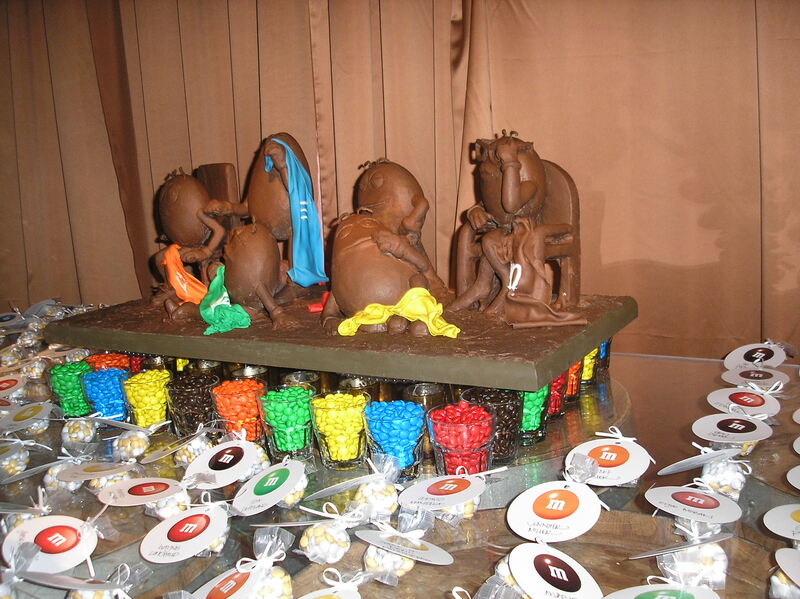 As soon as you entered, there was a beautiful table set with gift bags of m&ms with your name on it. On the other side of the tag was the name of a street in New Orleans. NS and I were on Frenchman St. Later on, we learned that, the street was actually the table where we would be seated. 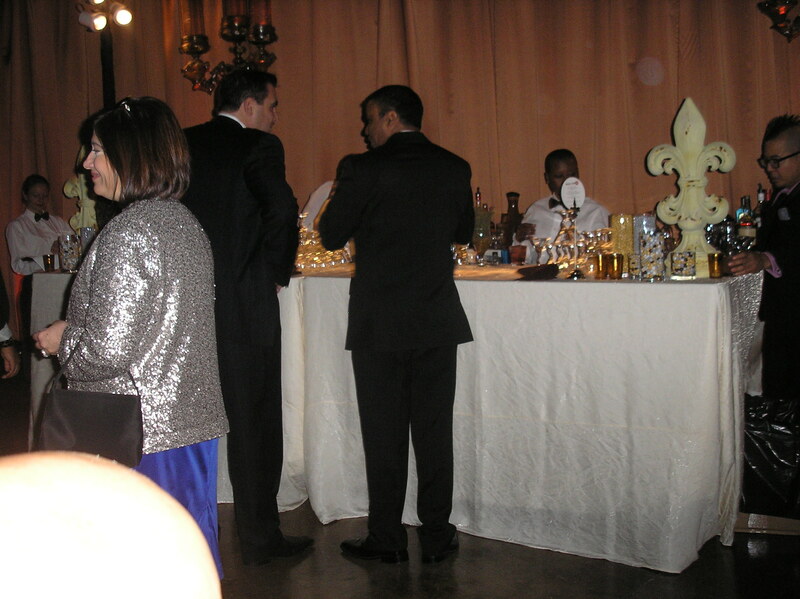 Cocktails were flowing in typical NOLA fashion (food and drinks everywhere) and the Grammy-award winning Rebirth Brass Band kept everyone grooving. 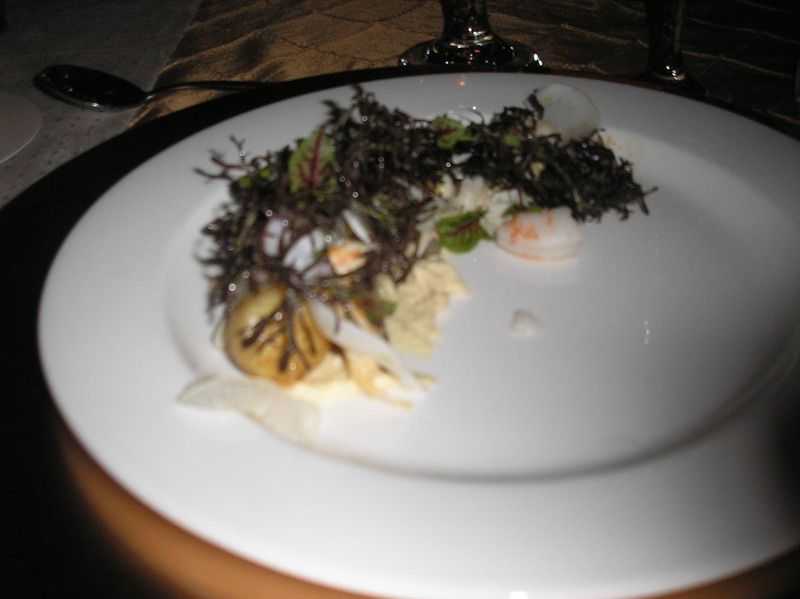 I usually take pics of the food but those hors d’oeuvres didn’t stand a chance. 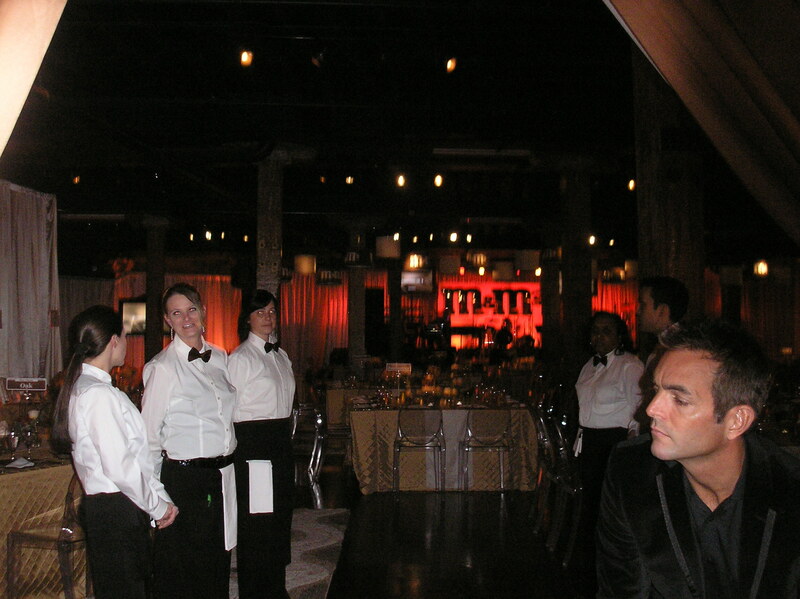 NS was in heaven as they were serving Glenfiddich 21-year-old Scotch. I even imbibed a cocktail or two. 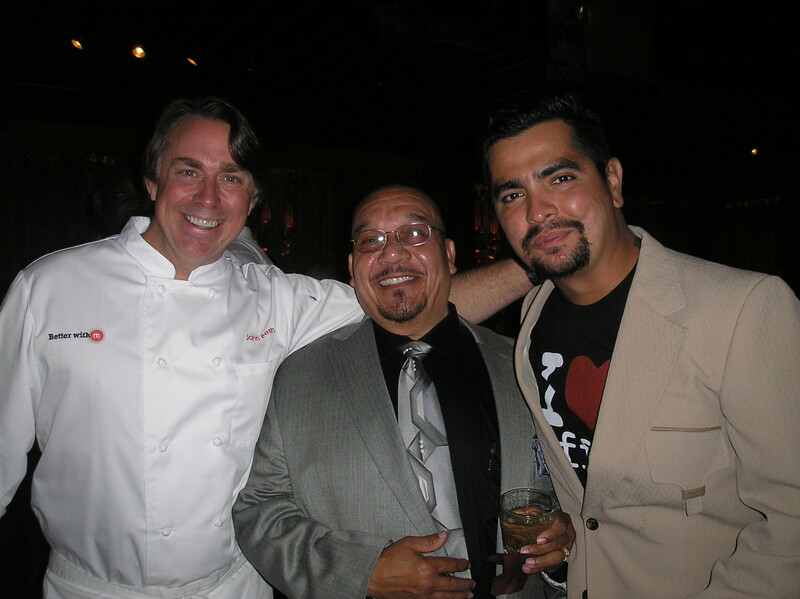 and I met Chef John Besh as he was walking around the room, talking to everyone. He is such a sweet man! I eye-spyed Chef Arron Sanchez (my husband in my next life) walking around and well, there was no way I was letting that moment of opportunity get away. After cocktails, we were all ushered into the dining area. Unfortunately, I have no pic of the desert, but it was delicious! 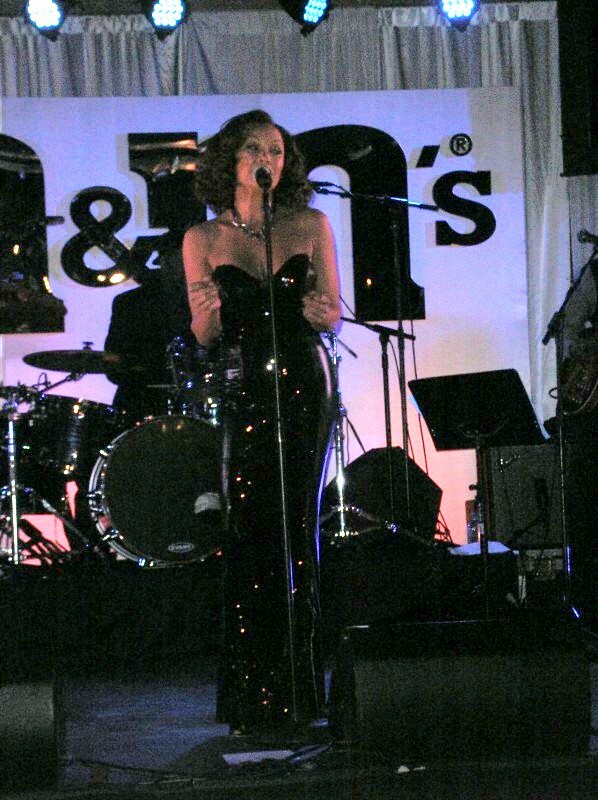 As soon as the wait staff began to bring out the deserts, Vanessa Williams hit the stage. She looks incredible and her voice is flawless! Her daughter Jillian was also there as one of the background singers. I was floored by Vanessa’s performance. I always knew she had a beautiful voice, but I had no idea that she would put on such a great show. 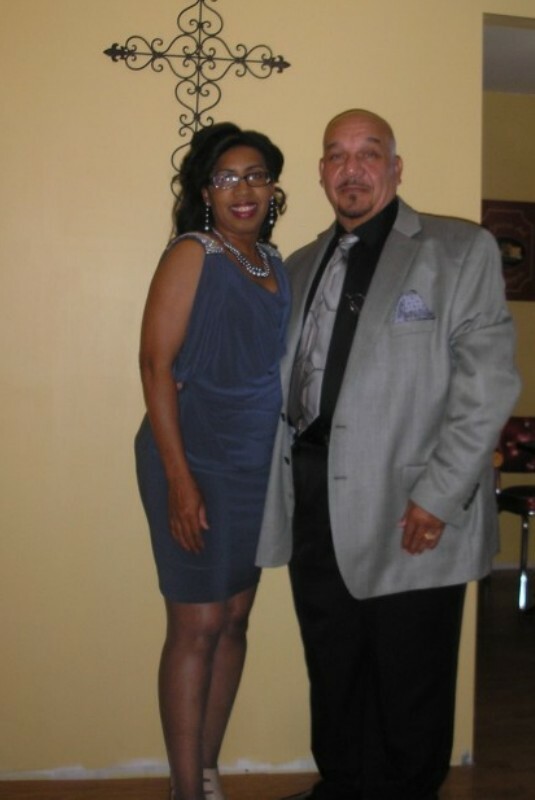 She put a spin on it and did a Salsa that would put these young’uns to shame! Way to go Vanessa! If you ever hit the road, count me there! The city is really being hammered with festivities. We began with a week-end of parades, followed by the Super Bowl and now we’re back to parading with the Krewe of Druids and the Mystic Krewe of Nyx kicking it off Wednesday night. 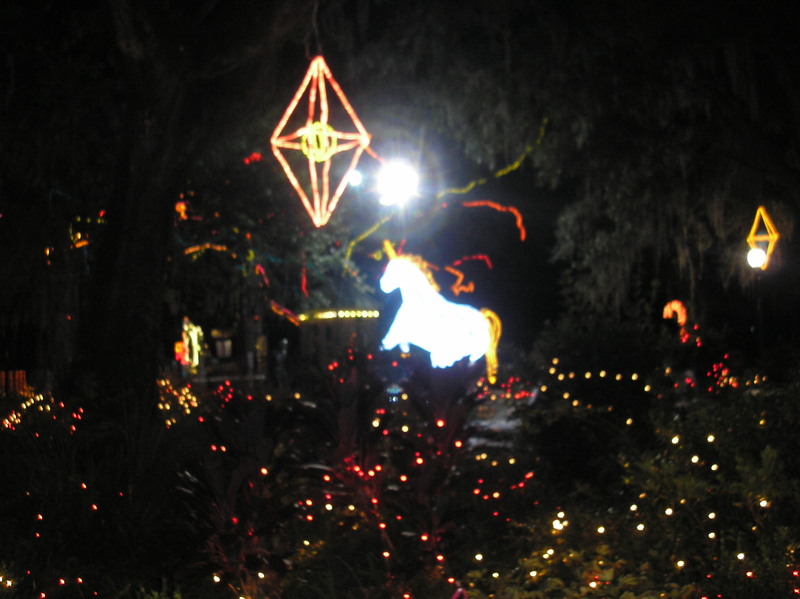 City Park’s 26th Annual Celebration in the Oaks Preview Party was held November 16 and am I ever glad that I decided to go. This was my first year attending the preview party and I’m putting it on my “things to do every year” list for sure! 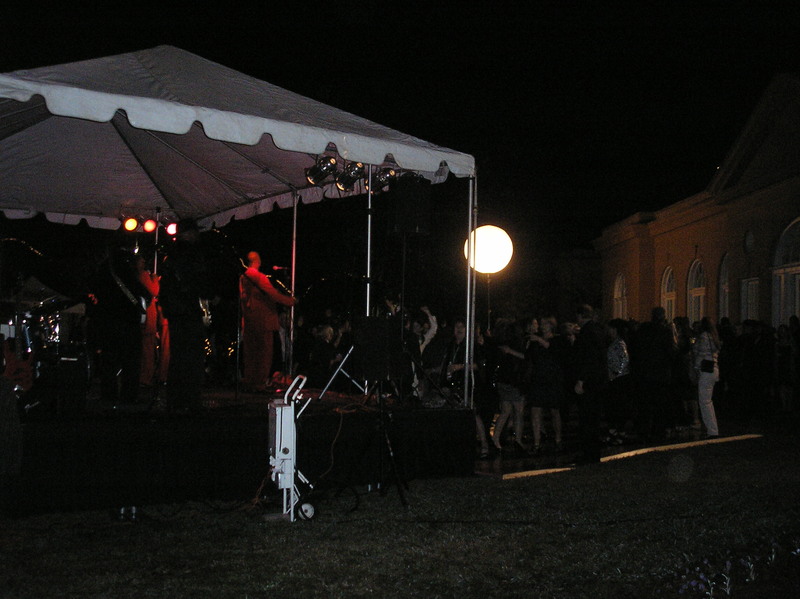 The party is a 3 1/2 hour cocktail attire affair,which benefits the New Orleans Botanical Garden. 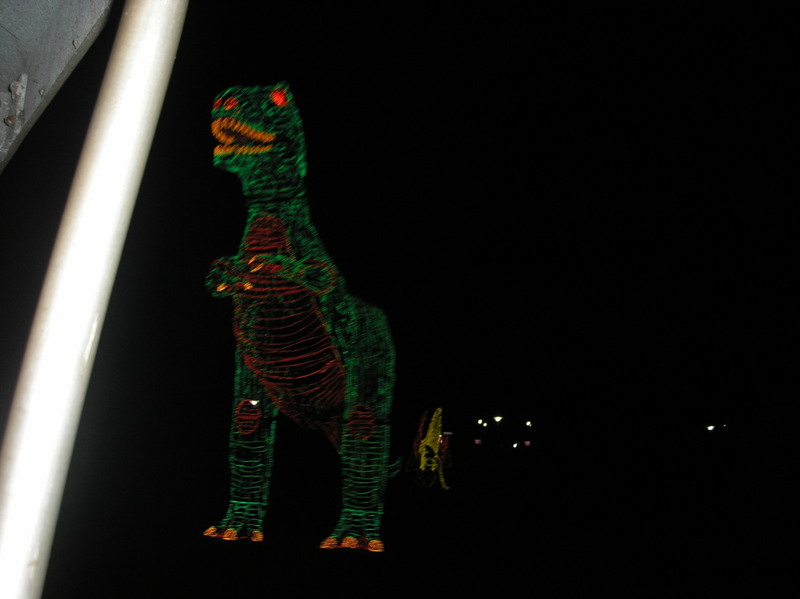 It was so worth the $100 per person tickets. 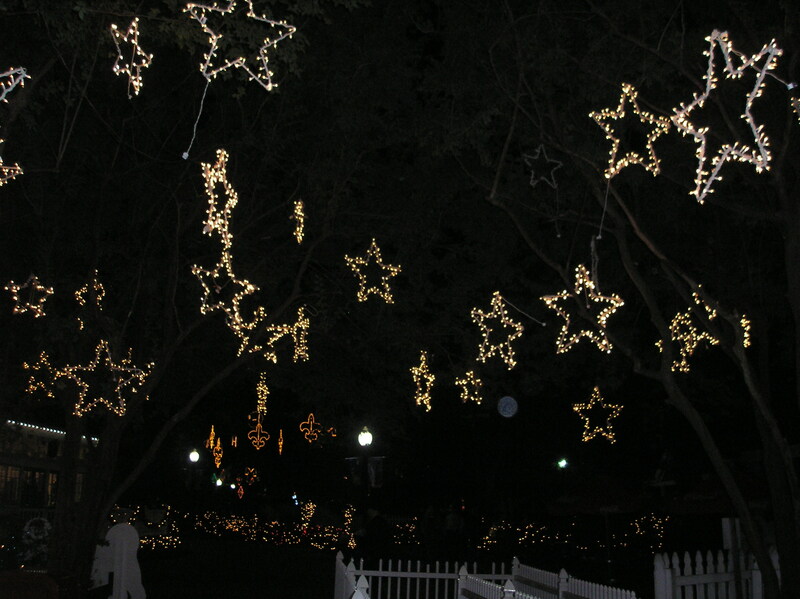 Walking through the Celebration in the Oaks on any given day is a magical experience. 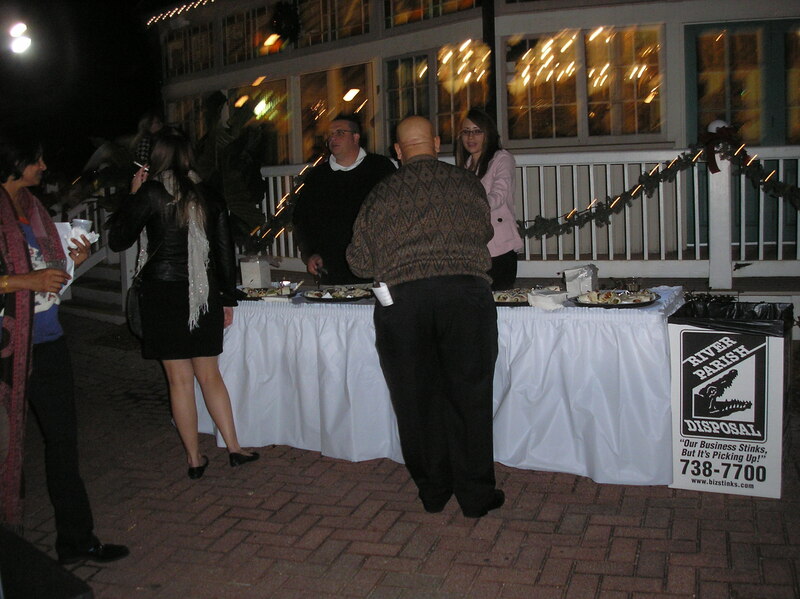 The adult preview party ups the ante by having fantastic food from restaurants such as Galatoire’s,Pascal Manale’s,Ralph’s on the Park and dozens of others. In addition, there’s all sorts of adult beverages (i.e. all the liquor you can handle) to keep you going as you walk among millions of holiday twinkling lights. or rather, “the trees down” since it’s an outdoor event. 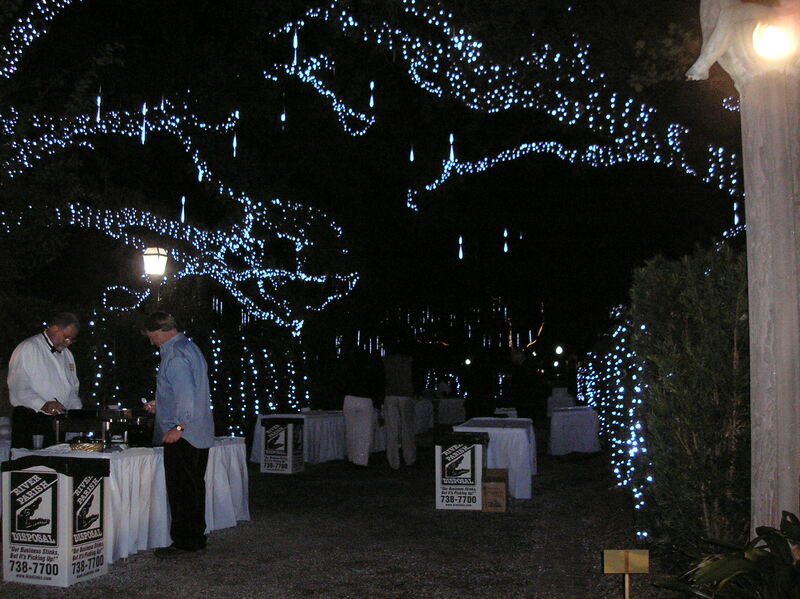 It’s the perfect date night affair…food, drinks,music and a wonderland type atmosphere. 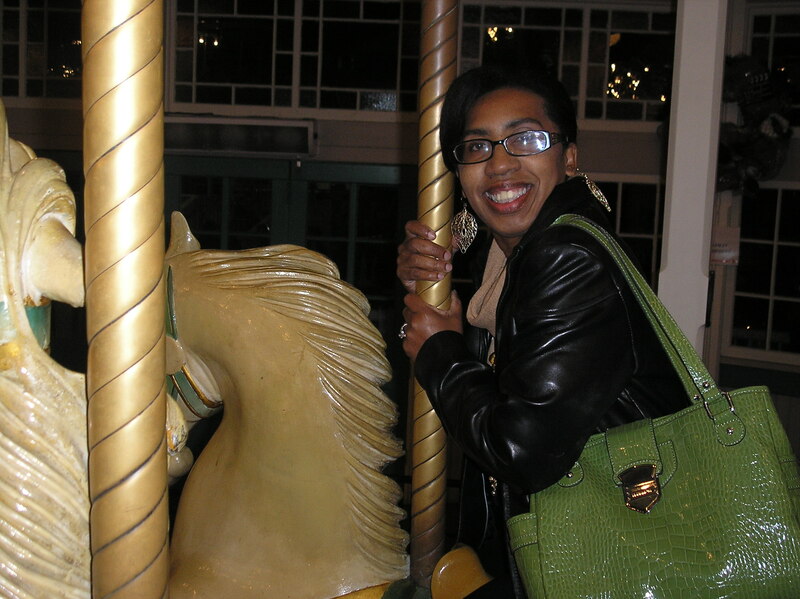 They even had the Antique Carousel and Train operating for those of us who are nothing but big kids at heart. My only regret is that, I didn’t get to take a picture of Mr. Bingle while I was there. My dogs were howling pretty bad for me to take those boots off. They just would not walk me to where Mr. Bingle was located. That’s alright because, I’ll be there next year….with flat shoes on. 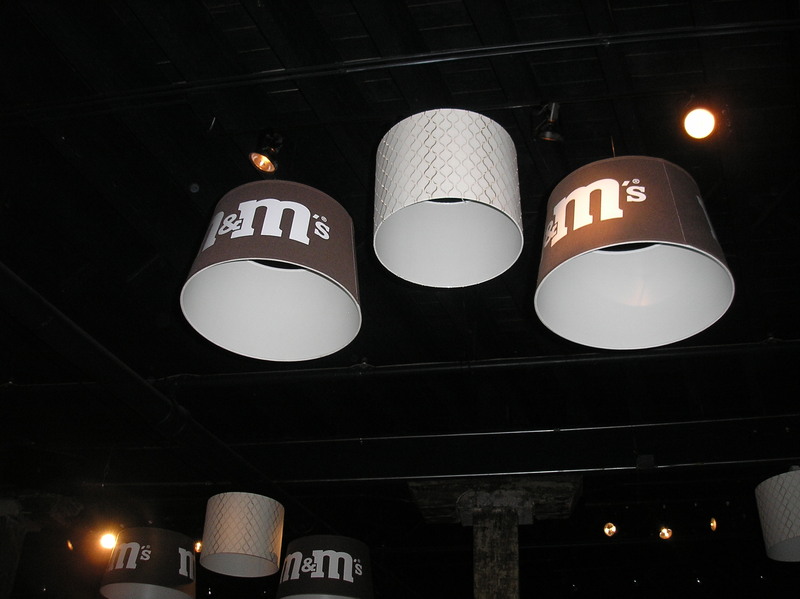 If you only experience the preview party once, you should go…you will not regret it. 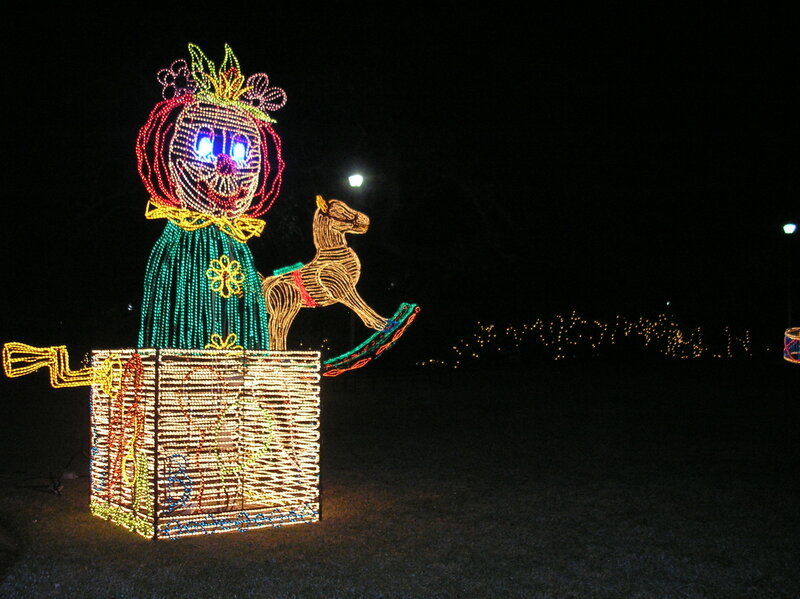 It’s a spectacular way to let your inner child come out and play. 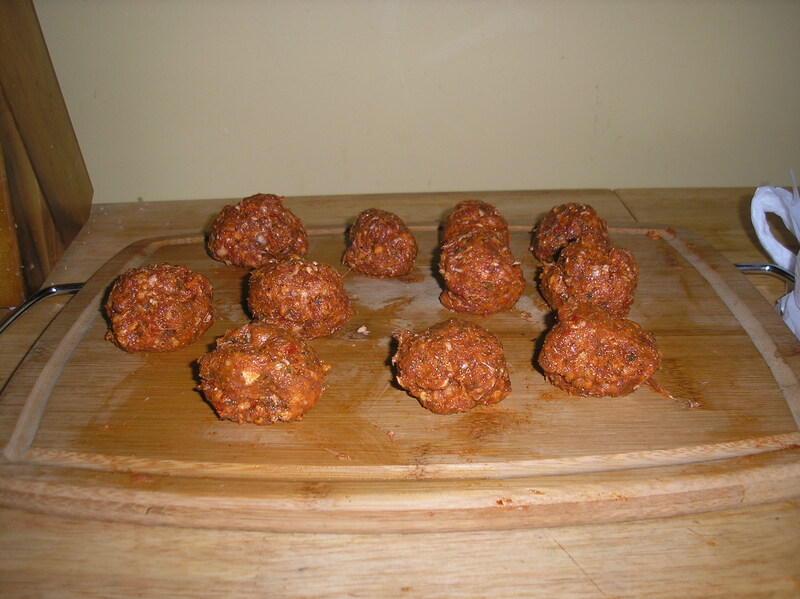 Again, nothing fancy…just my regular holiday cooking. A few friends of mine and I were discussing what we put in our gumbo. One of my friends puts everything but the kitchen sink in hers…gizzards,turkey wings,and all sort of other meats. I know a lot folks who make their gumbo without heat but, my mom was a creole-cooking, heat seeking woman and I was raised on gumbo with some serious heat to it. 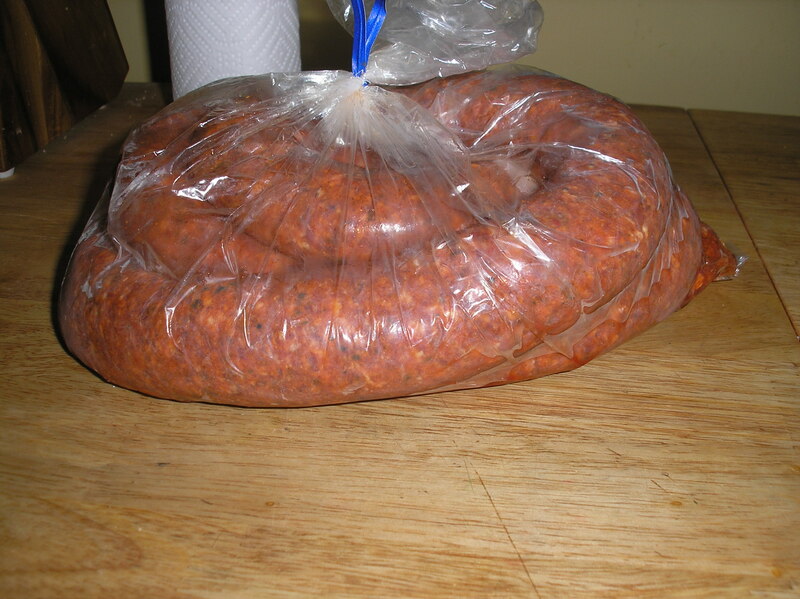 My mom would always get her hot sausage from Bachemin’s Meat Market….Home of the Original Creole Hot Sausage. 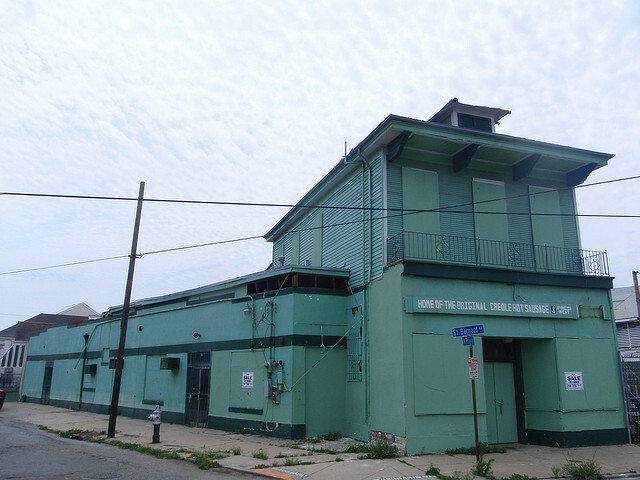 Located next Circle Food Store on St. Bernard Ave., it was in the perfect location. Kevin Bachemin is a third-generation butcher. His grandfather purchased the meat market in 1969. 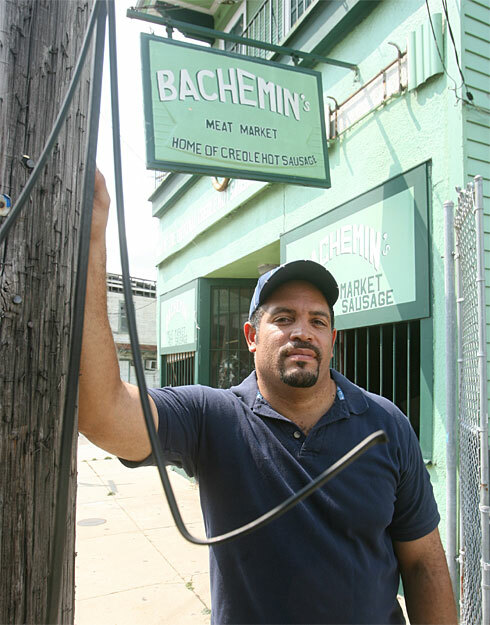 Bachemin’s Meat Market had some of the best creole hot sausage around….tasty with some serious heat. 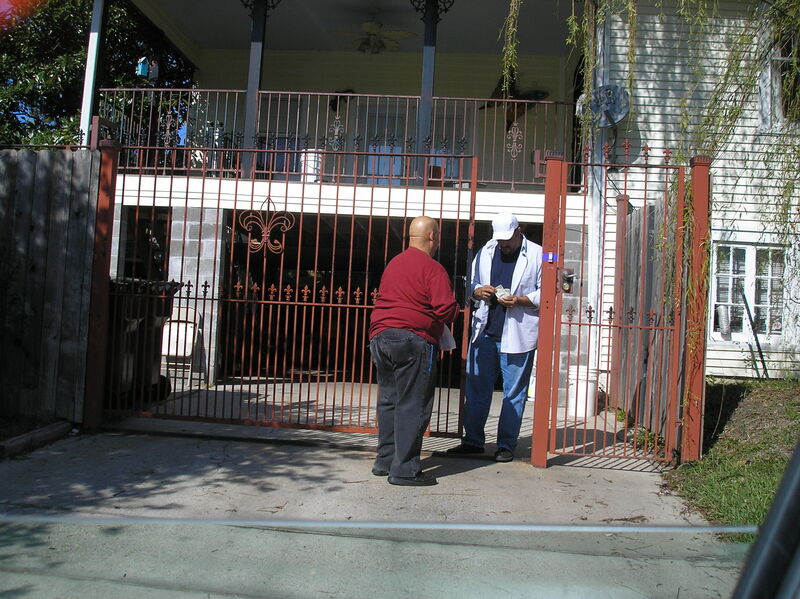 Kevin was running the very lucrative business and holding down the family recipe when Katrina hit, wiping out their 40-year old business. Bachemin’s did not reopen but, Kev still cranks out hot sausage for those of us who just refuse to eat anything else. Every holiday season, NavySeal and I give him a call and put the order in for our hot sausage hook up. Talk about taking your gumbo up a notch…put some heat in it! So this Thanksgiving, I’d like to say thank you to Kevin. Well, it’s the end of the month already and my favorite blog time is here…. NavySeal and I were out and about (again) and while heading home, we passed 2 Tony’s in Bucktown. Now, I gotta say, for me..it’s always been hard to go to II Tony’s. 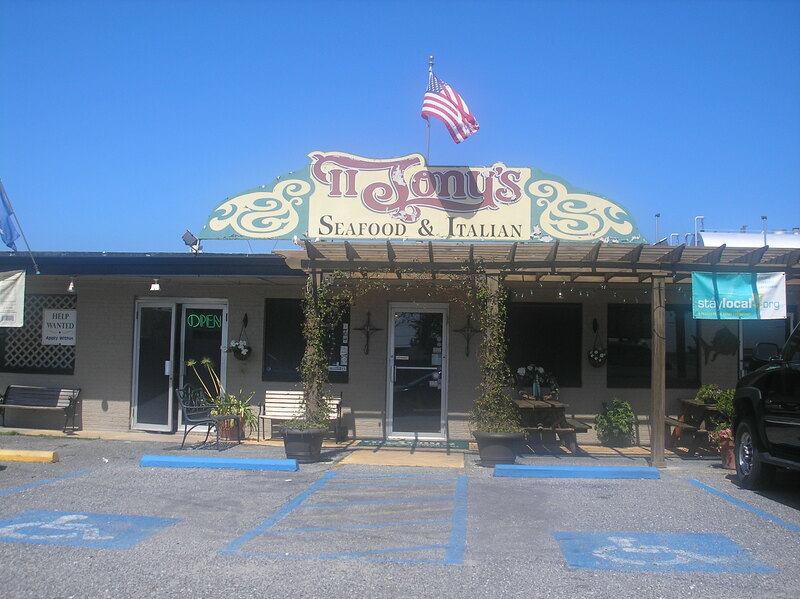 It’s not that I’d heard anything bad about them but, II Tony’s is walking distance from Deanies Seafood. It’s hard as hell to pass up Deanies! and went to II Tony’s. and was I ever glad I did! We arrived before the lunch crowd. The place is small…the atmosphere, really nice. NavySeal said that, inside of it reminded him of the scene in the Godfather when Michael killed “The Turk” Virgil Sollozzo and police Captain McClusky. Hey, don’t be surprised that I know the characters in the Godfather off the top of my head( I know the Oracle and Andrea aren’t surprised…lol.) I’ve had a small obsession with The Godfather since high school. I read the book in 1978 and have seen both versions of the movie…most people don’t know they’re two versions. They tend not to show the other version which I happen to like because, it’s more detailed. It’s also my “holiday movie” to cook to. For some reason, whenever I’m cooking for Thanksgiving or Christmas, I end up playing that movie. I think it’s because part one and part two are so long, that they keep me company while I’m cooking. See, this how obsessed I am with the movie. This pic was taken in 2006. 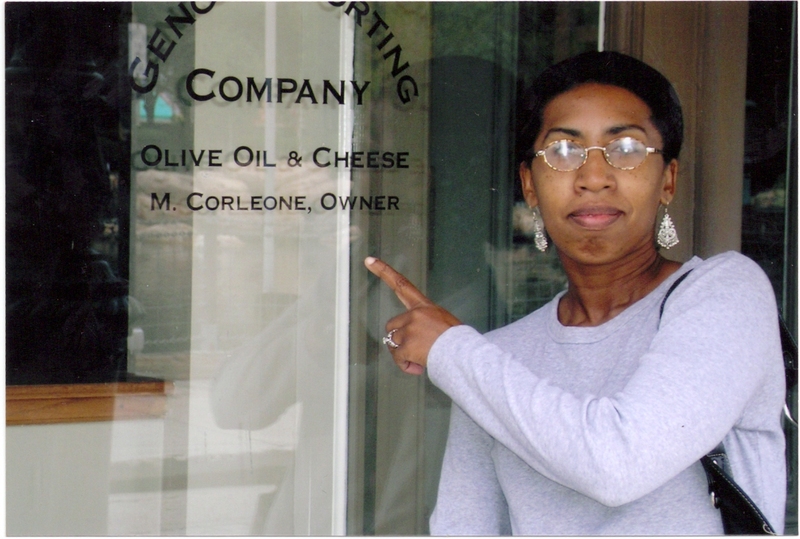 NavySeal and I had gone to Universal Studios in Florida and they have the Genco Olive Oil Company front with Michael Corleone name on it… and I just HAD to take a picture by it. 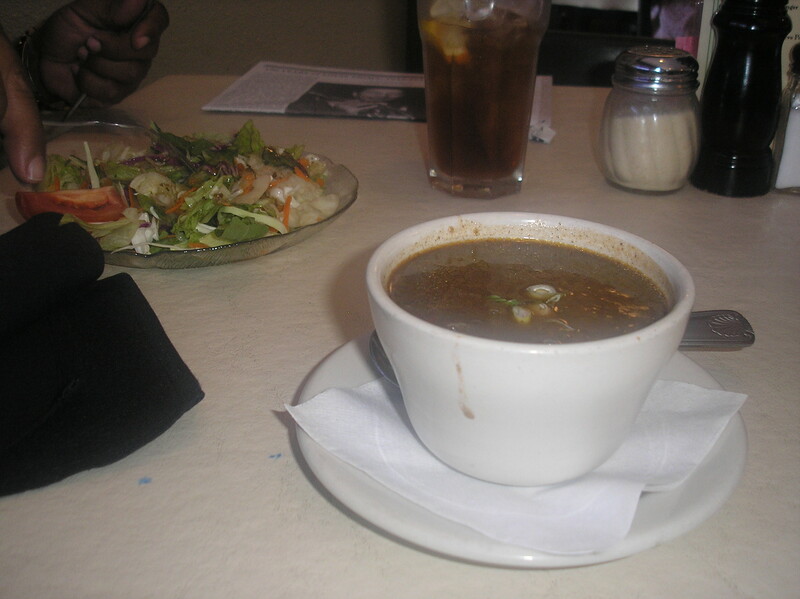 NavySeal started with a salad and me, well…I had the seafood gumbo. I usually don’t like my gumbo with Okra in it but, this darned gumbo was so frigging good! I ate the whole thing and that’s something I don’t usually do because, I like to leave room in my tummy for the “big kahuna” dish. 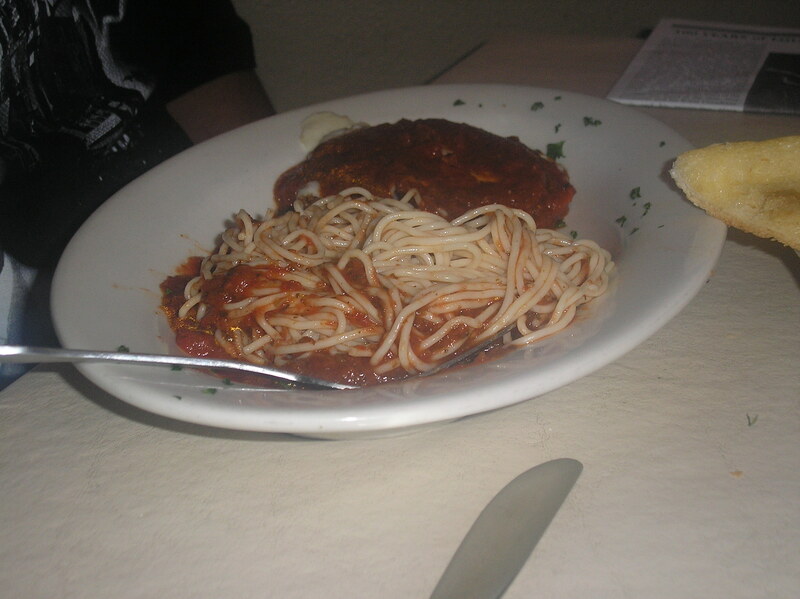 NavySeal had Veal Parmesan as his big kahuna dish. 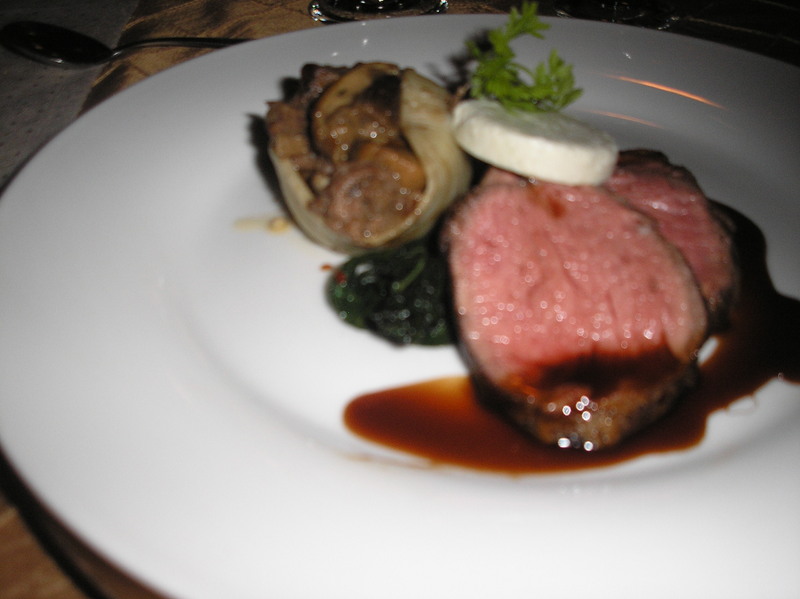 The veal was so tender and juicy…I wanted his dish after he let me taste it. 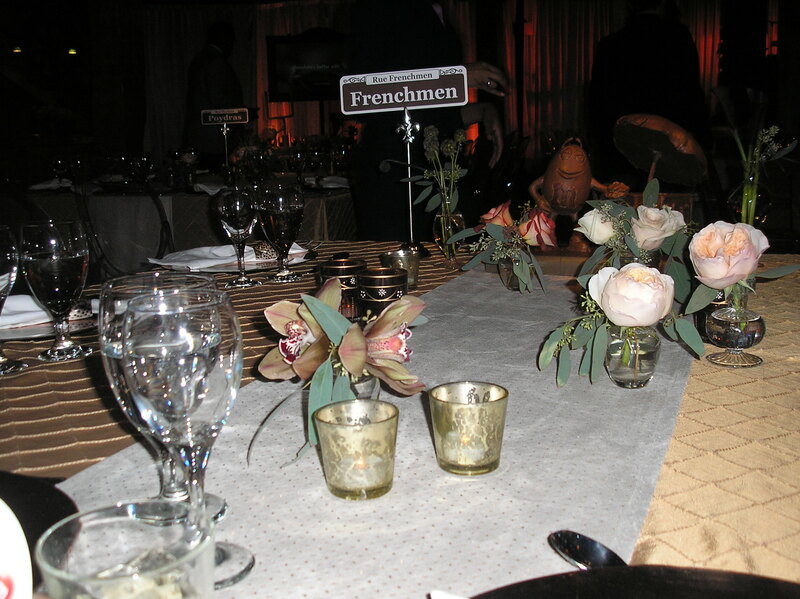 I like the fact that, it’s a nice serving…not too much not too little. NavySeal ain’t trying to bring home no doggie bags if ya know what I mean. 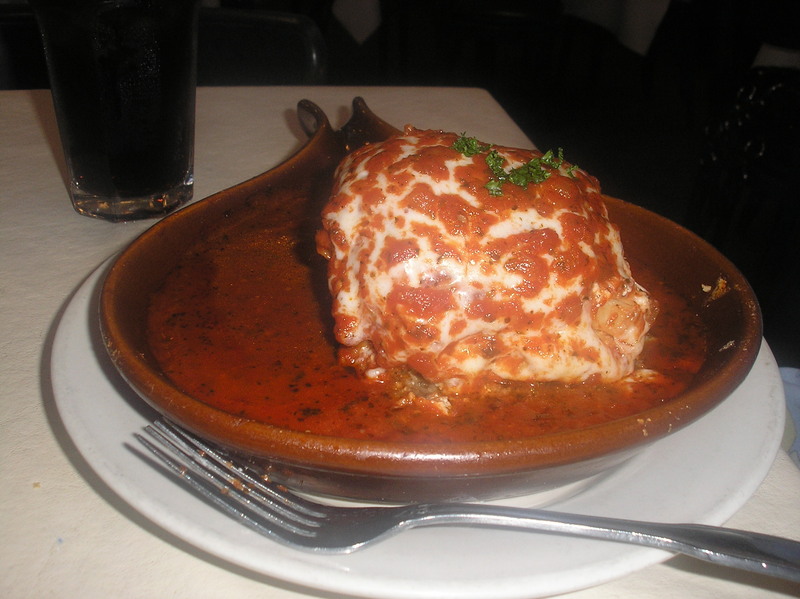 I was torn between two dishes and eventually decided on the Lasagna. I was surprised that it looked like this. I’m used to my lasagna having more length than bulk. but, after tasting it…who the heck cared? It was delicious! 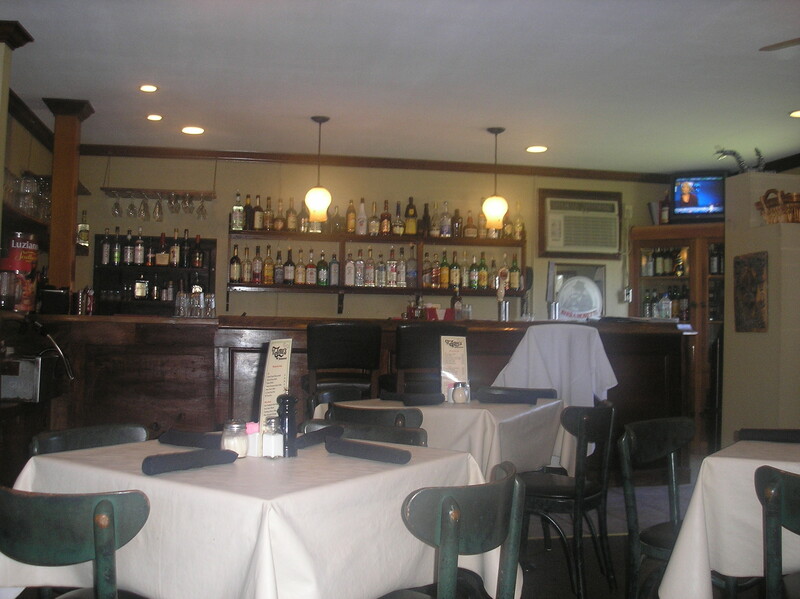 The wait staff was mediocre but, the food was great. I had been looking at II Tony’s it seems like forever but, as I’ve said…it’s so hard to pass up Deanies and go somewhere else when you’re right there. I’m glad I went though. Would I go again? Probably not. Because Deanies will trump them every.single. time. Yesterday, I was reading one of my favorite bloggers, Afromamba’s post. On her site she was counting down her five favorite songs that had her hooked within the first 5 seconds of it. One of the songs was, Somebody To Love by Queen. But, I couldn’t get the damned song, Somebody To Love outta my head. Just like that Reese’s commercial…SOMEBODY put chocolate in my peanut butter….SOMEBODY put peanut butter on my chocolate! Viola!..or as my nephew used to say, WAL-LA! Now, Freddie is Freddie and anyone who knows Queen, knows what that means. they found the right one when they found George….he sang the piss out of this song! Check the video out at 4:03…he even had Brian smiling! Freddie would be proud George…very proud.